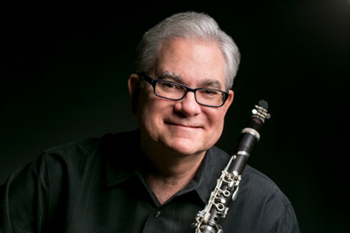 Active as both soloist and chamber performer throughout the U.S. and around the world, Steve Cohen was principal clarinet and frequent soloist with the New Orleans Symphony, (later known as the Louisiana Philharmonic) between 1975 and 2004. He has also been featured as concerto soloist at the Brevard Music Center, where he has played and continues to play principal clarinet each summer since 1979. There he performed the Copland Clarinet Concerto with Keith Lockhart in the summer of 2010 and in 2016 he will be soloist in John Adams’ Gnarly Buttons. Cohen has toured in the U.S. as principal clarinet with the Texas Opera Theater and throughout Europe as principal clarinet with the Seoul Philharmonic Orchestra. He returned to Korea to be a guest artist and master class clinician at the Seoul Philharmonic’s Clarinet Festival in 1998. He maintains an active yearly solo, chamber music, and master class schedule and has performed solo recitals and master classes throughout the U.S., Canada, Europe, Korea, China, Taiwan, Bangkok and Japan. He performed at the ICA conventions in several cities, including in Porto, Portugal in August of 2009 and was guest artist and teacher at the International Music Course in Guimaraes, Portugal, returning in September of 2011. Having moved to Chicago in 2005 to become clarinet professor and coordinator of winds, brass and percussion at Northwestern University, he plays principal clarinet with the Music of the Baroque orchestra and has played clarinet and E-flat clarinet on numerous occasions with the Chicago Symphony. He has also played with the Chicago Lyric Opera orchestra and as a chamber musician throughout the Chicago area and beyond. Many of his collaborations have been with the Lincoln String Quartet. Additionally he has performed with the Dempster St. Pro Musica and the Chicago Chamber Musicians. In the fall of 2014 he gave master classes and recitals in Tokyo and Osaka, Japan and in February 2015 he was guest soloist with the Hendersonville Symphony Orchestra in North Carolina. He has guest taught at the Oberlin Conservatory, University of Southern California, and Indiana University. Previously on the faculty of the Cincinnati College-Conservatory and Louisiana State University, he is an artist/clinician for Buffet clarinets and a Legère reed artist. For 2015-16 he has been Visiting Professor of Clarinet at the University of Texas at Austin in addition to his Northwestern duties and has performed there with the Miro Quartet. He hosted the 2001 International Clarinet Association Convention in New Orleans and has written many articles for The Clarinet magazine. Born to a Juilliard-trained clarinetist in New York City, Steve Cohen has studied with Loren Kitt, Larry McDonald, Karl Leister and Robert Marcellus.